Stanley Greaves was born in Guyana. He studied Art in the UK and was Head of the Division of Creative Arts at the University of Guyana for several years. He left Guyana in the 1980s and has been a resident in Barbados since that time. 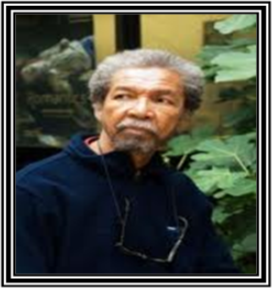 He is one of the Caribbean’s most distinguished artists with major exhibitions in the UK (The Elders, with Brother Everald Brown), Europe and throughout the Caribbean. In addition to his poetry and painting, he is also an accomplished classical guitarist. His latest works include Art in the Caribbean: An introduction and There is a meeting here tonight: a series of paintings.